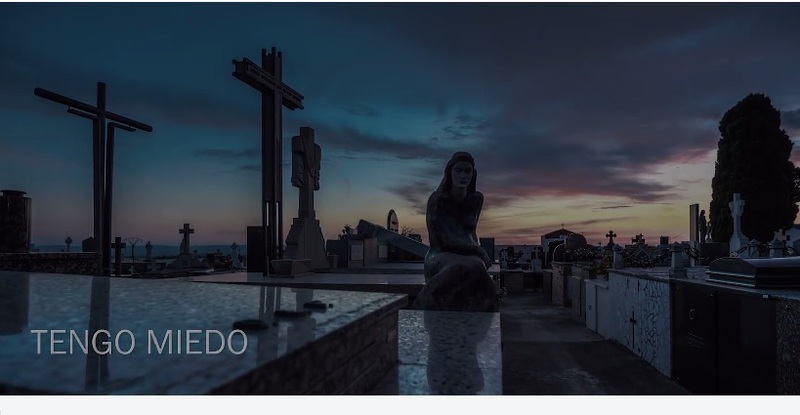 “Tengo Miedo” is a Cinematic Poem Short Film Featuring Poet Pablo Neruda Directed By Nobilis Bellator. “I am afraid. The afternoon is gray and the sadness of the sky opens like a dead man’s mouth. My heart sheds tears as a forgotten Princess in a deserted palace. I am afraid, and I feel so tired and tiny that I reflect the afternoon without meditating on it. In my sick mind, there cannot fit a dream as the sky cannot fit only one star. However, in my eyes exists a question, and there is a cry in my mouth that my mouth cannot scream. For there is no ear on earth to hear my sad, abandoned complaint in the middle of the infinite earth. The universe is dying in a quiet agony without the festive Sun or the green twilight. Saturn agonizes like one of my sorrows. The earth is a black fruit, from which the sky takes a bite. And through the vastness of emptiness,the afternoon clouds run blindly, like lost boats with broken stars hidden in their holds. thanks for posting my work, it’s much appreciated. I wanted to comment on the English translation you used, it really is terrible and does not reflect the lifetime work of Pablo Neruda that is not only a world renowned poet but a Nobel Prize winner in Literature. I am sure he would raise from his tomb if he could read this translation. Please let me know if you want to use the translation I have in my work. It is one of the only poems of Neruda which I could not find an official translation so with the work of some language experts I was able to concoct a translation that I believe respects the intention in Spanish which is my mother tongue along with French and English as I am a born in Spain but lived all my life in Quebec, Canada where bilingualism is a necessity. Is the translation above the one sent in by the commenter above? Yes Katie, that’s the correct and final translation. But if you think it can be improved, please let me know.